Currently Closed for renovations as of Oct 2015. Map showing location of Ginns Ngawha Spa [Closed] . Use the controls on the map to zoom in and out. The BEST hot springs. Have been coming to the pools since approx.1954. Cant get enough of the soaking and feeling so great afterwards. Ko kapa Magic te paru, te marino te wai, whakaora i wai, kaukau te paru, te rongo ki te whaiaro runga i te whenua... Ultimate but not submissive to the translations NgaWha is the best........! Just as described and so laid back, as we were in the pools. Tried every pool except the bubbling one ! who in their right mind would cook themselves! Carols hint about immersing yourself in the cold water paddling pool after to close the pores and trap the goodness that has gone in worked really well, l was amazed how softer my skin was and no longer dry looking. Do you think if we immersed our faces as well the wrinkles would go. Ho ho ho! Bit of old NZ rarely found theses days, don't tell everybody about them because we want to come back someday soon to enjoy them again. Barbie, ken, Roger and Rita who was not adventurous enough to enter but sat and read a book instead. Cheers Carol. What a hidden gem! We went from pool to pool for four hours. It felt like playing putt putt golf. Loved it. Which pool to go to next! Place is original and a great deal for $4. By 11 am there were only three of us in pools. Quiet and relaxing time. 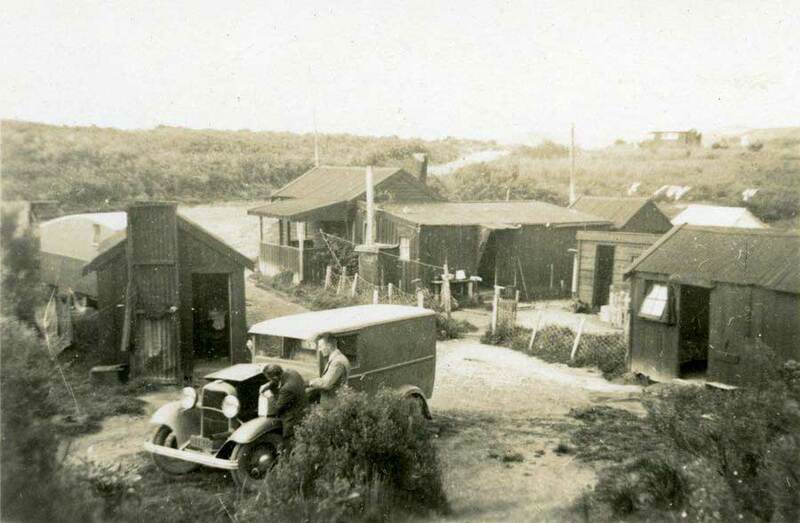 During the second world war my parents managed the hotel at ngawha springs. 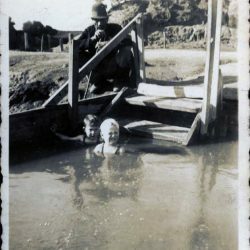 My brother and I spent every waking moment, when not at school in Kaikohe, in the pools. We just loved it there.Having perused the photos- am very pleased to see that very little has changed in the intervening years.Still remember all of those pools! Magic! After a 8 day sail from Tonga we were looking for a nice soak at Nagawha where I had spent some days 30 years ago!Still the great lay back with Carols welcoming smile. We stayed the night for $20 pp and with the $5 entry fee to pools its very reasonable.No restaurant but kitchen facilities available and Kaikohe just close by for supplies.Camping also available. Highly recommend. I had review on the wrong pool last year, (the one next to Ginns, sorry...) I went with some friends again this August, awesome, never felt so good when you sit in the hot muddy water, smelly too. (even after a day or two) I will always go back. My mother used to work for the the bakers around the 1950's. 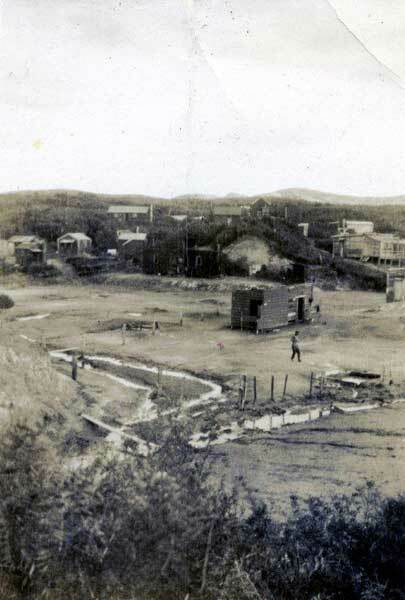 Back then it was a hotel and they also used to swim in the lake...its a shame carol that you tell guests that there is a taniwha in the lake,,according to my mum there were never stories of any taniwha in the lake...maybe its your pet eel and you make it fat an healthy by feeding it road kill. My rating is 9 because they are just what you would expect for an authentic experience that costs $5. My only suggestion is that if you go at night take a torch so you are careful with you can see all of your belongings. Also, in a storm take care for potholes on the Ohaewai Road. Great pools, friendly staff! 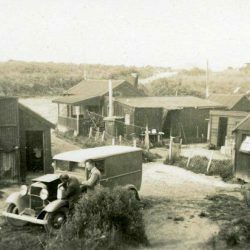 We also stayed at the unit just behind the site. It came with full facilities and spmanager lady even provided us a fresh milk! We will defenatly come back! We love this place. So natural and worth the drive to get there. Been to a few 'upmarket' pools but the rustic charm of Ngawha is relaxing and homely. 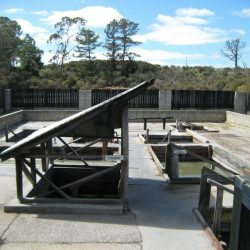 Whenever we visit, they are always friendly but leave you to enjoy the natural springs. Love it. Absolutely delightful, old fashioned authentic kiwiana this is a must do attraction worth the drive worth the time. Love the rustic atmosphere, hope never gets changed to a resort theme park style. Fantastic way to soak off the aches and pains. Beautiful place, wonderful springs. Very tranquil also. No chlorine, no stainless steel, no crowds, no noise. We have spent 14 months in NZ with my wife and even though Ginns Ngawha Spa was one of our most favorite locations. Definitely the best hot springs we have visited. We will remember it forever, thank you McMillans for keeping the spa this way. 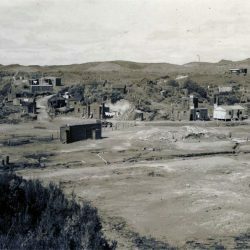 Lived in Ngawha in the early 70's then again through the early 80's, great memories of the pools, the Maori side and the Pakeha side back then, Tiger Mountain as the backdrop, the Sampsons used to work at he pools, and also the Takimoana's, we used to sneak in for free when Mele was working there. Awesome place!!! 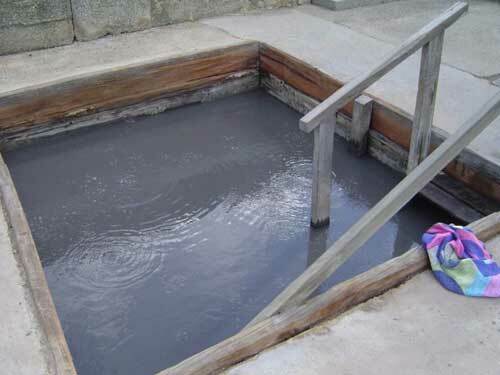 These hot pools are good value for money and I recommend them. They are however, easier to enjoy if you have been prepared for the sight if them. They look rough. Really rough. 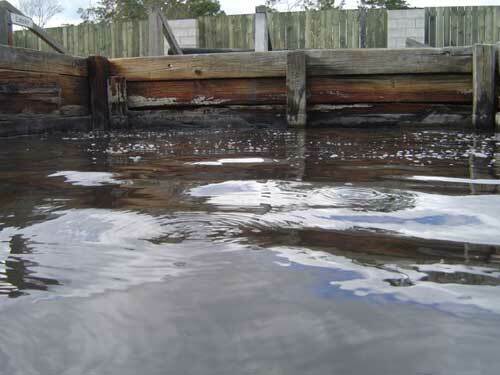 The water is super muddy, and the wood sides of the pools look as if the are on the verge of collapse. The toilets and showers are also very rustic and fairly rusty. But these pools are the real deal. They smell so bad because you're actually in the spring water. So many commercial operations use the spring water for heating, but you actually only bathe in recirculated, chlorinated water. 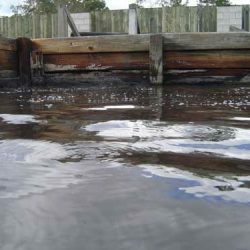 Please visit these pools, they are wonderfully relaxing, but be prepared for the fact that they are a shocking eye sore! Debra, if you wanted a sanitised version, try somewhere with chlorine - this is real health giving water! I know of a surgeon blown away by the speed of recovery after surgery of those that have soaked regularly - it does get in!! These pools have real personality and the sand is great for digging your toes into and really feeling the heat. OK, so they are not all sanitised and blue like some others but they are authentic and just like the real thing in the original mud! I wish I could visit these gems again! 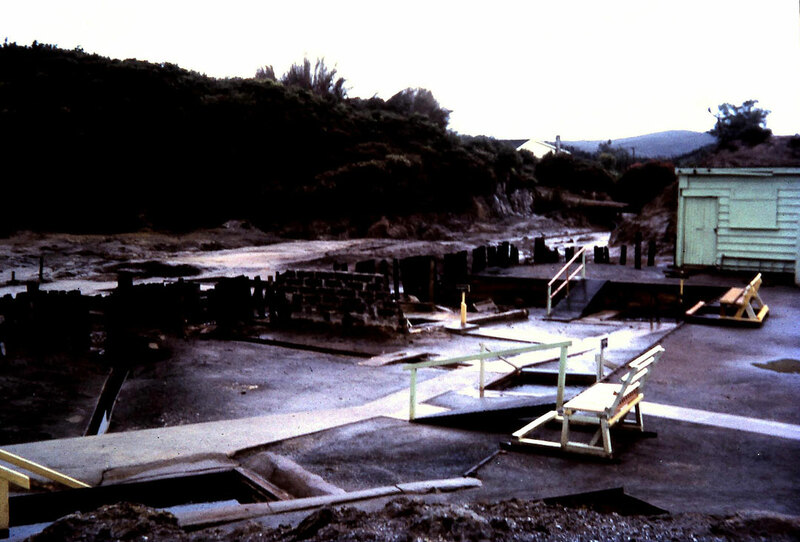 Ngawha springs was probably nice 40 years ago. Doesn't look smell or feel clean. There were another couple there when we went and they like us did not go in the pools. We had heard they were special springs, but need to be cleaned up badly, if left for much longer like they are, it will be very difficult to get people back even if a lot of money is spent. 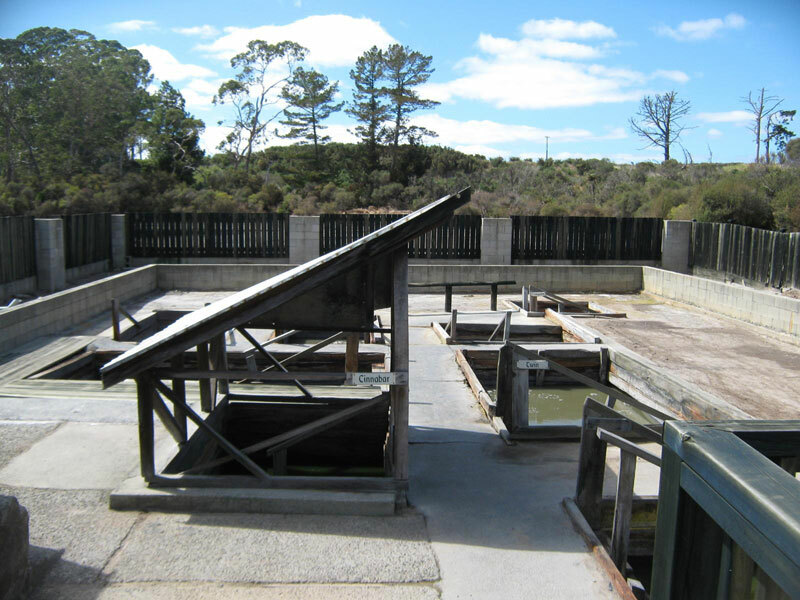 We visited 2 other hot springs that were done very well, clean and inviting - shame on ngawha, they should not be advertised in the condition they are in. First visit to these natural spring pools. What a most relaxing experience. At $5.00 highly recommended. 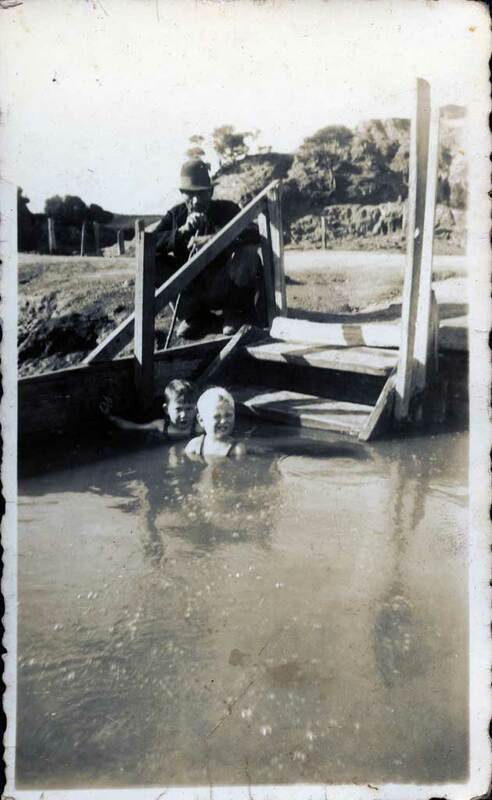 Grandparents lived up this way & I remember we would visit these pools daily. Was awesome times driving down with koro & all the cuzzies. Last time I visited would have been in 2008. Would love to visit again! Of course it's 10 out of 10! We're the caretakers! But seriously, I just wanted to say a huge thank you to all those lovely people who have posted such nice comments - and even those who weren't so nice but were genuine in their personal observations about these fantastic, original hotpools. We do take all comments on board. We're still going strong, so give us a call if you want a lovely, relaxing experience. Feel the volcanic mud...mmmm. Feel the hot mineral laden water....mmmm. See you soon! Malcolm and Connie Caretakers, Ginns Ngawha Spa. Really authentic and really good for the aching joints and muscles. My costume has been thoroughly washed but still smells of the minerals. Perhaps the pools should be clothing optional. My man is from Moerewa and when I came over for the first time to meet the whanau we came for a trip to Ngapha....will never forget it! Wish we had hot springs back home...my back felt so good afterwards! Just dont wear jewellery in there, my silver ring went freaky rainbow colours n man those showers were deadly cold...but the whole experience was so relaxing (we went when it was sprinkling a bit) and a must-do! Staff very n friendly, awesome place, don't ever sell/change it! We'll be back for sure!! We really enjoyed this experience. Sure it is a bit rustic, but it is the real deal. Those minerals worked on the aches and pains brilliantly. In addition there were no screaming kids running around and no chlorine. If I were loaded I would donate money to upgrade the changing facilities, but they were servicable too. I love these pools and will be back. I loved this so much! I have been to Polynesian Pools and a few others in Rotorua, plus Hamner Springs and Maruria Springs...and for the price (only $5!!!!!) it is amazing . . . and personally I love the rustic feeling and down-to-earth (mud!!) feeling of this place. This is the best of the best - second visit to pools operated by the trust for the rest of us. Will always visit, & with friends when we drive north. Note Malcolm&Connie's improvements in keeping with history & happy to help if the trust ever runs a working bee. 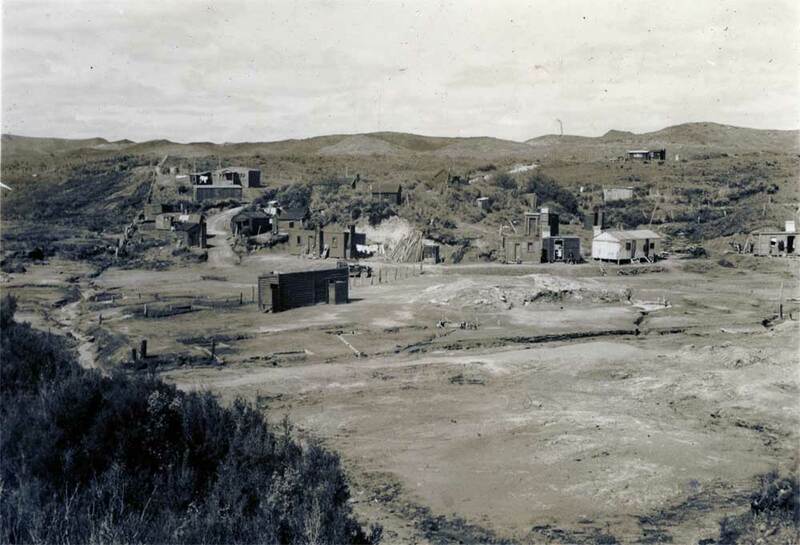 PS: Heard of Ginn Ngawha Spa thru the film "Kaikohe Demolition" of Florian Habicht . Not sure whether to call these pools "natural" or "run down". They do have a certain charm but a bit primitive. Screaming out for investment but is there a return. I am thinking "build it and they will come". I just love going there on a rainy day as the pools stay hot, I sit out, Hop back in again, all the while feeling hot, The cool rain feels great as i change to a different pool. I look forward to coming again. Thanks for this extraordinary and relaxing experience! Awesome pools and great for the aches, pains, etc etc. So relaxing. Awesome facilities too - always clean. Glad I dont have far to drive home after a beaut soak as I always feel really relaxed. Always take family members for a soak there when they come up from Auckland - sure does soak away their rat race aches etc. Keep up the good work and maintenance Malcolm, Connie and the team and the friendly dogs too. Kids enjoyed themselves jumping between the different pools, Parents enjoyed getting rid of their aches & pains. The biggest pool got up to 54 degrees, awesome. We shall return next time up north!! Fantastically therapeutic. No plastic, no tiles, no billboards or signs! A true discovery. In a word, magic. Rustic charm? Sure. It's no resort but the charm here is undeniable and the hosts are beyond accomodating. Was delighted by the friendliness and relaxed atmosphere. I'm coming back again and again. We travel NZ extensively on 4 trips and are planning our 5th. 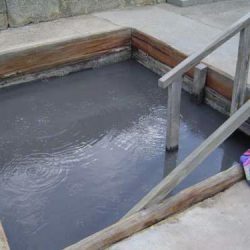 We plan for at least every 2nd night for a hot spring so we have done many through out NZ. Ginn's was an accidental find as it was dark and we were looking for a place to stay with a hotpool. Following the little steam marks on my trusty old map. For $10ppn we were astonished that this included the baths. Absolutely the most historic venue that we have come across. People these days seem to want astetics but for me the history is just as important. Keep up the good work. Oh dear Hamish! What were you expecting? For a whole $5? Ginns pools are what are known as 'authentic' which means they aren't artificially sanitised to look like an everyday swimming pool. All posh and tiled - and boring. This is the real deal, with minerals bubbling up from the geothermal reservoir which is 1500 metres down under a rock cap in the Ngawha geothermal field which is 50 sq km in size. 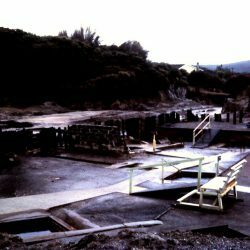 The walls of the pools are old kauri, completely authentic and mostly original. Hamish, you came and have a free one next time. Bring a friend or three for free too! These are terrible and run down. We had a lovely day here.Great fun in the various pools; one was too hot for me !Run by really nice people who made us feel most welcome to stay all day, if only we could !Good luck for the future Ginn Ngawha, we`ll recomend you to all our friends. Best water around, yeah it is brown, but that is because it is the real- full-of-minerals- deal. Completely stinky and amazing. Don't think you will be driving far afterward though as you will be too relaxed! i think it needs a clean???? Five bucks to sit in natural bubbling mineral springs is the best deal out there. Be prepated to forego your aesthetics since the place is a rather run down. However the mineral waters are very therapeutic and well worth the drive. Awesome... There really ain't nothing like it. We have rated this only 8 out of 10 because we have great expectations of any future developement, which may or may not alter our enjoyment of this great spot. We have visited this area several times a year for the past few years and when we found Ginn's we could not believe our luck. The pools are magnificient to relax and absorb all that richness that is good for you into your body. You need more than one soaking for the benefit to become apparent. So keeping on coming back. We have also been enrichted with the short aquaintances we have made with people from all over the world. Even struck up a business relationship. How is that, making money while you soak. Told you the water was good for you. We stay in our campervan for a couple of nights and enjoy the great hospitality of the hosts and the dogs. We had some friends visit with us who walked down the road to the other pools, only to wish they had'nt. WE SHALL RETURN Thanks Malcom. first time in a hot spring and it was great! My 9 year old enjoyed it too. As a family it was so relaxing and fun dipping in and ouyt of the different pools there. If we lived closer, we would certainly visit regular. I think my only 'moan' about the place would be the condition of the pools. They seem like they need a little up-dating as far as the wood goes and the showers. But it was great and like someone said earlier, there weren't many people around which is a good thing really as you can move about with more freedom. Recommended, yes, yes and yes! Third time this group has stayed here ,12 motorhomes for the weekend & thoroughly enjoyed the hot pools. We will return. 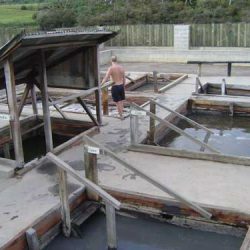 Ngawha mineral baths is in my opinion the best in nz.... rustic instead of homogenous... in the bottom of different pools you can stand in the lovely silt instead of plastic sterility of most commercial hot pools. Try it tyou will not regret it. and soon because its an absolute secret at the moment with little advertising (so write down the address from here). 3 out of 6 times Ive been there Ive had it to myself and the other three times only 2-6 other "soakers" , but maybe that empty was just my luck. PS Even camped on the shores of the lake and swum in the hotpools til midnite then back in at 7.30... magnificent! Hi all We're the caretakers at Ginn's Ngawha Spa. First, the contact phone number is 09 405 2599. We've been here about two years on behalf of the owners (a family trust) and should be here for another year or so. 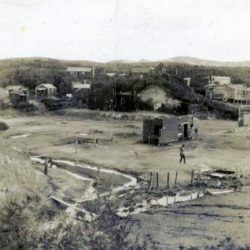 The pools have a fantastic history going back to the 1860's, then latterly to the 40's and 50's when the old spa hotel beside the eight hot mineral pools operated full on. At present, no accommodation is available at the hotel as building renovations are being planned. But we are open 364 days of the year for the pools 9am to 9.30pm. Also, you can camp for just $7 per person (the price includes using the pools) or sleep in your car in the safety of the grounds for the same price. Campervans are just $8 per person per night (pools included) and if you want power, just $10pp (pools included). The pools vary in temparature between 20 degrees and 40 degrees. They are pumped daily to maintain freshness and warmth. 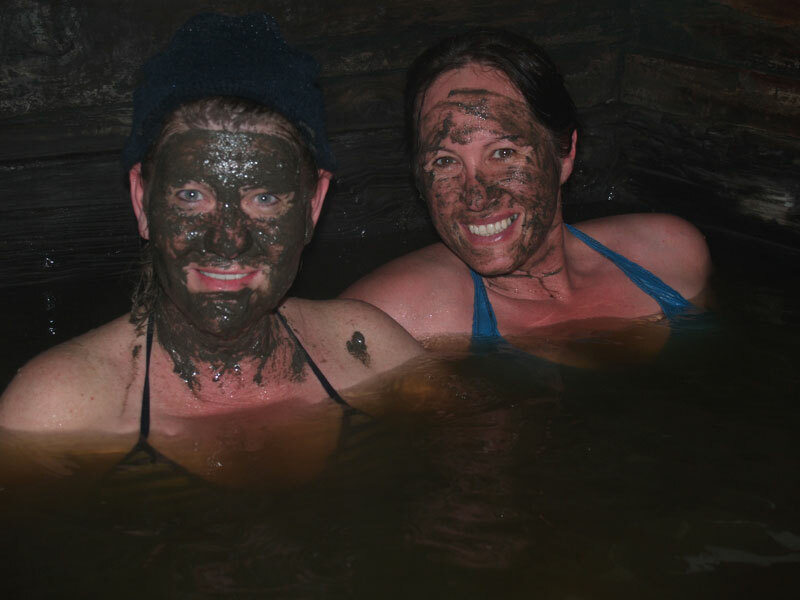 They have natural sandy bottoms and there is volcanic mud under the steps which is fabulous to smooth on your body. All this for just $5 for pools only (adults) and $3 for the under 12's! What a bargain. Come try this truly authentic experience. We ain't flash, but we're clean and neat...there's two toilets and showers and we keep loo rolls, hand soaps and disposable hand towels right up to speed everyday. The hot, mineral laden pools will make you feel so relaxed you won't believe it. And you will feel amazing when you finally leave the water...which is hard to do! Perfect place to sit in a hot pool and look up at the stars. Amazing place to wind down and find your space. Cheap and very very cheerful. 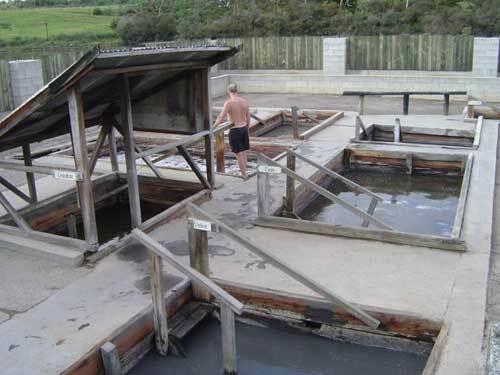 The most natural hot springs we have found in New Zealand. Wonderful place to sit and soak. We have recently visited twice and I am impressed that now someone is there to greet you. Connie and her dog she is friendly. The children had a place to run around after we had our long soak and we were able to have a cuppa on the lawn that had just been mowed. They have done alot of work you can see the place making a change. It was popular in its day. My husband who is now 50 can remember coming here when he was 5 a trip from Hikirangi. It has won our vote to come here quiet and you can feel you feet in the sand the warm and hot spots feels natural and it is. We live in Kawakawa(where the famous Toilets are so just take the extra time towards Ngawha it won't be a dissappiontment. Now they have rooms that could be used if they were fixed up it would be awesome. At the moment they not under the builder code so your support would be really good. From The Wilson Family. You pay your money in an honesty box up in the adjacent camp ground before you enter the pools and change in the basic changing facilties. (Also has one toilet and a cold shower). Great relaxed non-commercial atmosphere - about 6 pools from memory, varying in temperatures all with a natural mud bottom. Some pools have more minerals than others. Friendly locals regularly use the pools. Lovely sitting relaxing. Owner was starting to upgrade facility but has run out of money. Was a highlight of our long weekend up north - you should definately stop in next time you are passing that way.